Another year in the books — or journals — already? 2018 was another productive year for Retraction Watch. Topping our own leaderboard of achievements was the launch of our database of retractions, along with an analysis published in Science. With more than 18,000 entries, the repository is the largest of its kind. We are grateful to all of those who helped make it happen, including the MacArthur Foundation and Arnold Foundation, our generous funders for the project over the years, as well as individual donors. And we would like to thank our researcher, Alison Abritis, without whose efforts the project would never have come to fruition. 2018 was a busy year in retractions. (OK, they’ve all been busy for a while.) In what has become an annual tradition, our friends at The Scientist asked us to round up what we thought were the biggest retractions of the last 12 months. It’s time to get serious about decreasing bias in the clinical literature. Here’s one way to do that. Readers of Retraction Watch know that the quality control mechanisms in the publication of science, chiefly editorial peer review, are not infallible. Peer review in biomedicine in its current form and practice is the direct descendant of the bedside consultation. In a consultation the object or person under observation (patient/the journal submission) is observed and analyzed by the doctor (editor) who decides what the best course of action is. If unsure, the physician/editor may call on the help of outside specialists (the hospital physicians/referees) to help make a final decision on the therapy and fate of the patient/submission. Such a wonderfully genteel paradigm of scrutiny and scholarly activity cannot be expected to identify problems caused by the contemporary rampant commercialization of biomedical research and its dissemination. In fact it does not. In fact, the system as designed does little, if anything, to detect these issues. Continue reading It’s time to get serious about decreasing bias in the clinical literature. Here’s one way to do that. 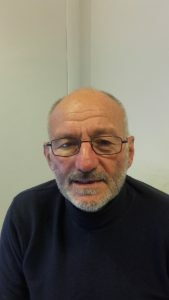 Posted on December 11, 2018 December 11, 2018 Author Tom JeffersonCategories RW announcements3 Comments on It’s time to get serious about decreasing bias in the clinical literature. Here’s one way to do that. We know there are a lot of causes that matter to you, but since you’re reading this, we may be one of them. So we’d like to ask for your support. On this Giving Tuesday, please consider making a tax-deductible contribution to The Center For Scientific Integrity, the 501(c)3 parent organization of Retraction Watch. Any amount helps. 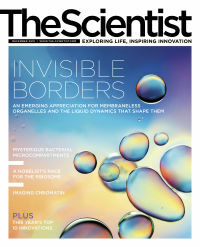 Your donation will help us shine a spotlight on scientific misconduct, and hold accountable the entities that profit from publishing, including journals, institutions, and individuals. We’re officially launching our database today. Here’s what you need to know. Readers, this is a big day for us. 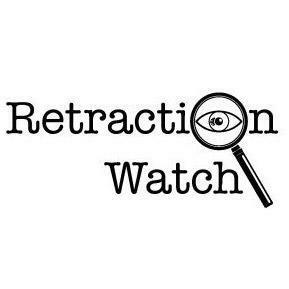 We’re officially launching the Retraction Watch Database of more than 18,000 retractions, along with a six-page package of stories and infographics based on it that we developed with our partners at Science Magazine. In that package, you’ll learn about trends — some surprising, some perhaps not — and other tidbits such as which countries have the highest retraction rates. Thanks as always to our partners at Science, particularly Jeffrey Brainard and Jia You, who crunched the numbers and developed the package. As readers no doubt know, we’ve been working on the database for some years. Some have asked us why it has taken so long — can’t we just pull retractions from existing databases like PubMed, or publishers’ sites? The answer is resoundingly no. All of those databases are missing retractions, whether by design or because notices aren’t transmitted well. That’s why we found more than 18,000, far more than you’ll find elsewhere. And we also went through each one and assigned it a reason, based on a detailed taxonomy we developed over eight years of reporting on retractions. Continue reading We’re officially launching our database today. Here’s what you need to know. Posted on October 25, 2018 October 25, 2018 Author Ivan OranskyCategories RW announcements4 Comments on We’re officially launching our database today. Here’s what you need to know. Have you seen our database of retractions? While we’re still putting finishing touches on it before an official launch, with more than 18,000 retractions, it’s already the most comprehensive collection of retractions anywhere. We have learned a great deal as we’ve gathered those retractions, which we look forward to sharing quite soon, along with ways that the database can help cut down on waste in research, but — and this is key — it has been painstaking work. Because of how scattered, incomplete, and sometimes even wrong retraction notices are, every retraction must be located, double-checked, and entered by hand. That means all 18,244, at the time of this writing — and growing every day. Our researcher spends much of her time curating the database, assisted at various points by a small army of terrific librarians, graduate students, and others interested in cleaning up the literature.